Indie and rock festival held at various venues in Wakefield, West Yorkshire. The 2019 line-up includes Peter Hook & The Light, We Are Scientists, Asian Dub Foundation, Penguin Cafe, Art Brut, Bill Ryder-Jones, We Were Promised Jetpacks, Richard Herring: RHLSTP, Aidan Moffat & RM Hubbert, Keston Cobblers Club, bis, Avi Buffalo, Menace Beach, Mik Artistik's Ego Trip, Too Many T's, Liela Moss, Mercury, Meursault, Imperial Wax, International Teachers of Pop, False Advertising, Mansion Of Snakes, Broken Chanter, Graft, Cowtown, Alessi's Ark, Mi Mye, Cruel World, Hello Cosmos, Knitting Grooves, Living Body, The Golden Age Of TV, Knuckle, Brooders, Cowgirl, Dead Naked Hippies, Cloth, One Day, After School, Sister John, Fran Bundey, Heir, Manuka, Shake Your Halo Down, Oliver Asadi, Mayshe Mayshe, Seckar, The New Nostalgia, Sandra's Wedding, jellyskin, ALLORA, Bronson, Ceiling Demons, The Passing Fancy, My Fake Empire, Disguises, Guy North, IAMOMEGA, Dan Greaves, Scott Wainwright, Alice Simmonds, Fossway, Chloe Juliette Beswick, The Hyde, Tanyalee Davis, Macroscope, Jayde Adams, Chris Betts vs The Audience, Seymour Mace, Joey Page, Vicki Stone, Njambi McGrath and more. 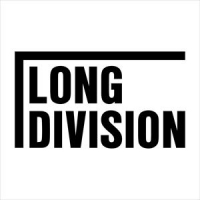 Fri 31st May 2019 Long Division FestivalVarious Wakefield Venues (Wakefield)More Info..
Sun 2nd Jun 2019 Long Division FestivalVarious Wakefield Venues (Wakefield)More Info..